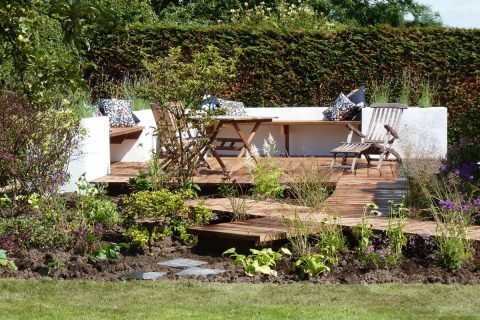 Our clients were looking for a completely revamped back garden to reflect the stylish interior of their home and for somewhere that the family could relax as well as entertain friends and wider family. 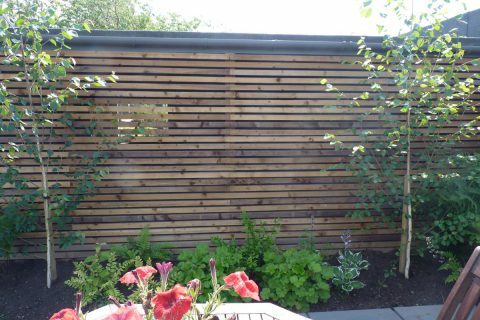 There was a tired old patio, a summerhouse which was no longer used and a large trampoline which the children had outgrown. 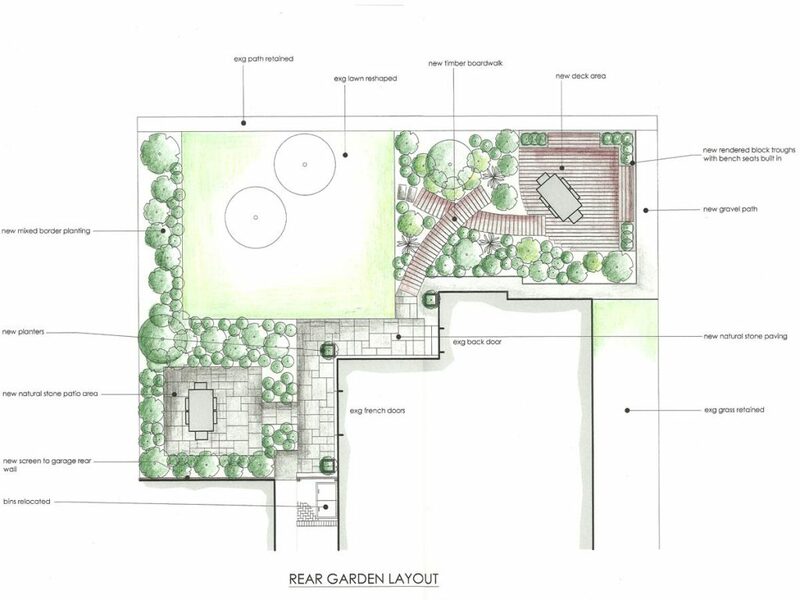 There was little to be kept other than the boundary hedge, a couple of fruit trees and shrubs and some of the lawn. "WOW was the word that was repeated quite a few times as we wandered round our beautiful garden at 2.30am this morning with a torch when we returned from our holiday!!! 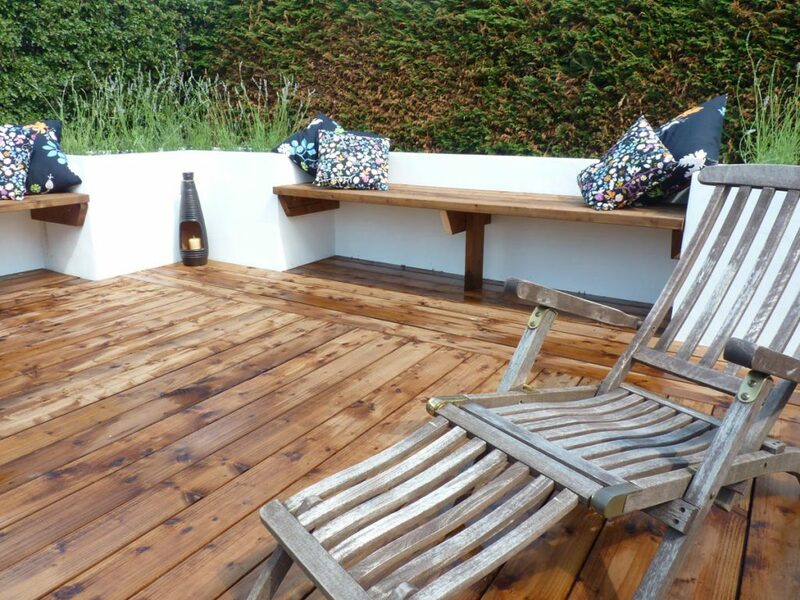 It is has exceeded our expectations and are very much looking forward to spending time in it." 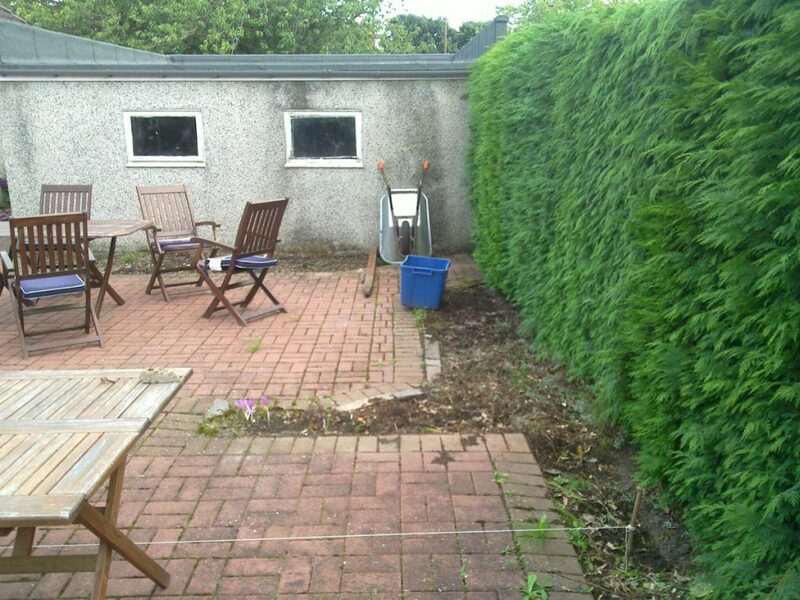 The area beside the garage was looking sad and tired and in desperate need of a revamp. 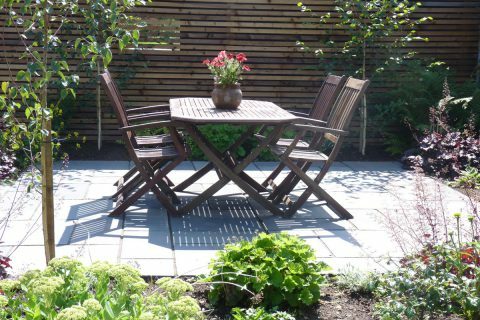 The old mono-brick patio was to be replaced with a contemporary new limestone patio. 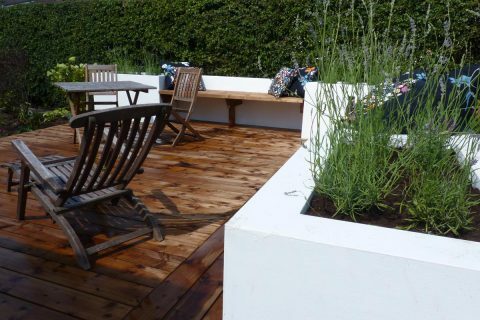 The patio was then surrounded by structured flower beds, filled with new planting. In the shady side beside the garage wall ferns and hostas are pride of place. 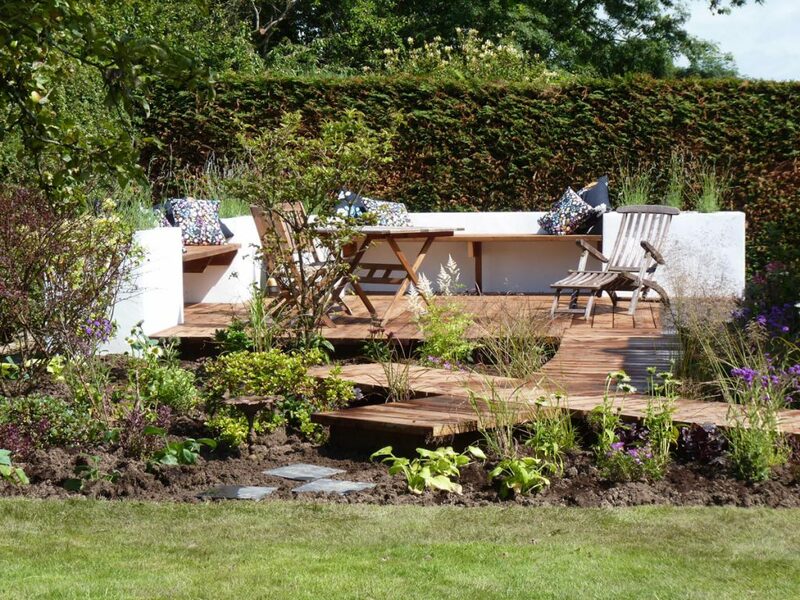 Elsewhere a mixture of flowering shrubs, pretty herbaceous and contemporary grasses complement the look. 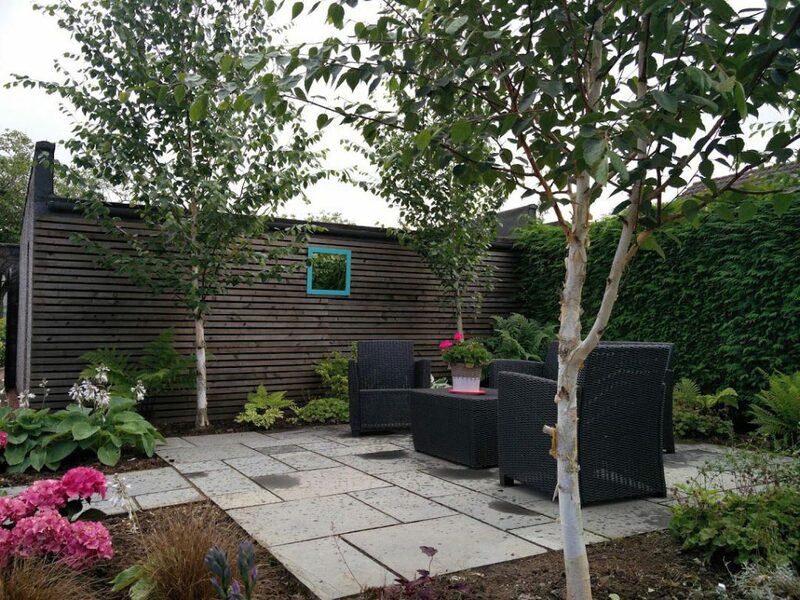 Four Betula jacquemontii trees make a real statement at each corner of the patio, adding height and grandeur. The stunning white bark of the trees will only improve with age. 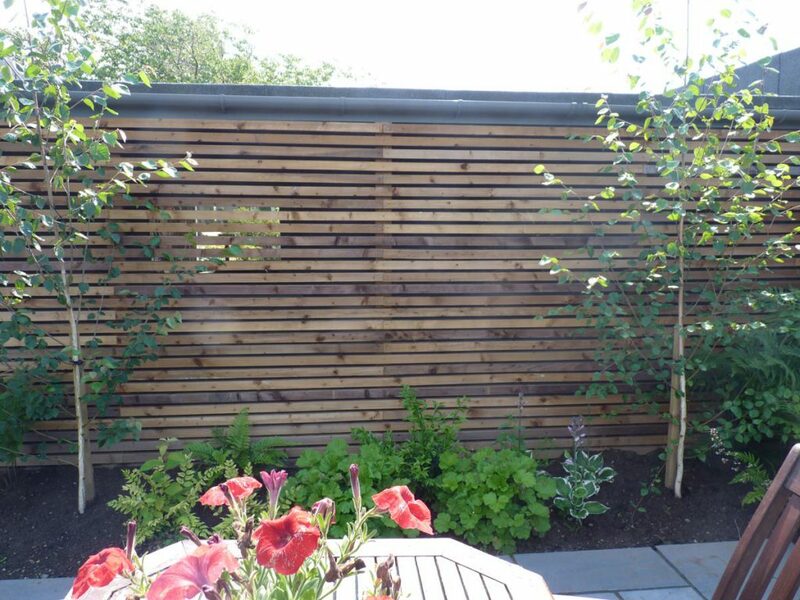 The garage wall desperately needed addressed so a modern slatted timber screen was created for the clients. 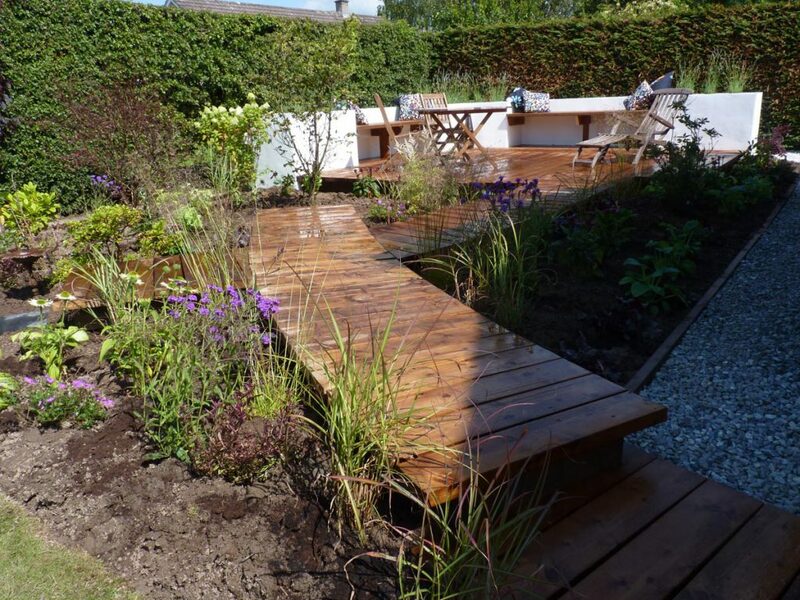 This instantly transformed the area and created a fabulous back drop to the new planting. 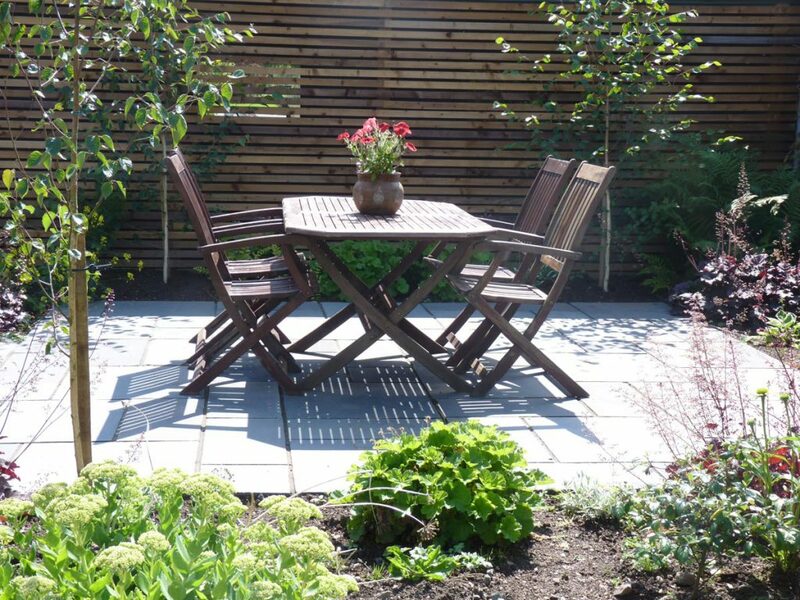 The screen gives a cosy yet contemporary feel to the new patio. A smaller version of the screen was created to hide the clients’ wheelie bins too. 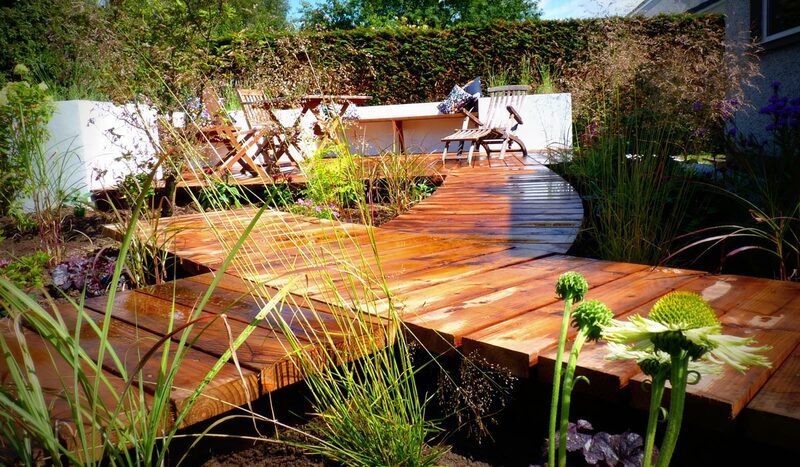 A stylish boardwalk leads to the main new deck area, large enough for relaxing and entertaining. Bespoke white rendered troughs give a contemporary feel and are filled with lavender, providing a lovely scent on the deck. 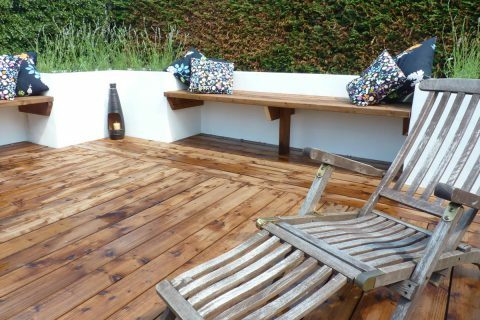 Bespoke benches provide additional lounging space for the family. 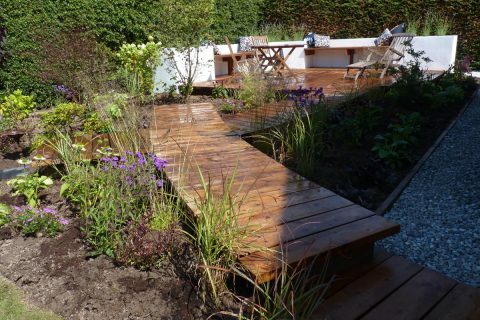 The whole deck is surrounded with new pretty planting, low maintenance shrubs and structural grasses.